As mentioned in the Sunday Times. 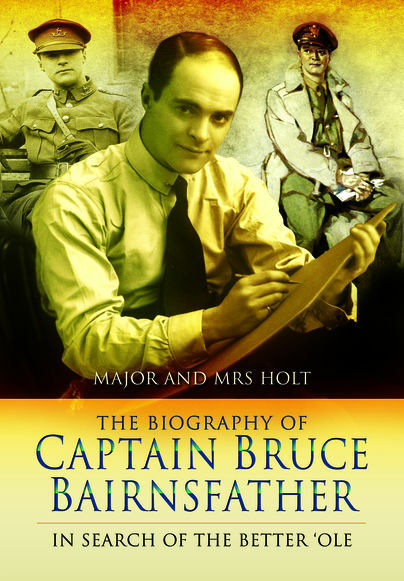 You'll be £14.99 closer to your next £10.00 credit when you purchase The Biography of Captain Bruce Bairnsfather. What's this? During the First World War the contribution of Bairnsfather's work to the morale of the Nation, through laughter, is without question. Indeed there were those who thought he was the 'man who won the war'. The authors trace his life in fascinating detail. This delightful book reveals details of the man who was a compelling paradox - a desperately shy person who adored the limelight, a loyal loveable personality, ridden with suspicion, an upper class product who was more comfortable in the company of the working class man. Bairnsfather's work appears on plates, cups, jugs, mugs and pots, car mascots, ashtrays and the like - all collector's pieces. His characters appear on postcards, playing cards, cigarette card, jig-saw puzzles and during the Second World War on the noses of the daylight bombers of the American Eighth Airforce. 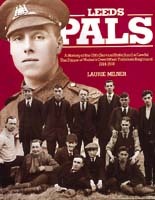 The story is lavishly illustrated with over 150 photographs and drawings, and includes a useful section setting out the range and values of Bairnsfather memorabilia and collectables. As seen in the Stratford-Upon-Avon Herald. As featured in the Independent on Sunday.